Very clean nice facility. I was using John Muir for urgent care needs, but these doctors are so much better. They take their time with you, and are very compassionate. I had to see them a few times recently, and every Doctor that treated me was top notch! One even gave me his card with his cell number in case my pain got worse. That's great care! Thank you-staff is great too! 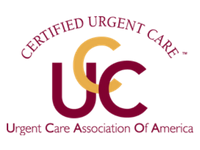 Best Urgent Care around. Easy to get to. Easy to park. Modern, spacious, and clean. Friendly front staff. Doctor pleasant and knowledgeable. We wouldn't want to go anywhere else. Fast, checked in online a couple of hours ahead of time, no wait ...solid care all doctors should be set up this way... for people who need something now and don't want to waste time or set up some appointment several days later. To be honest, I thought life was good when I finally ran away from Kaiser and became a PPO patient (never looking back I might add). Discovering that I could find my own primary care physician and see a specialist anytime (and choose them) was ultimate freedom. Recently, my PCP has become so busy, she can't fit anything in. And then I got sick. Super sick. Pneumonia right at the beginning of a new career. So, when my PCP couldn't take me, and so I could go during the hours I was available after work, I tried Stat med. Sure, there may be iffy people in the waiting room on occasion, but, the waiting area is pleasant, clean, stylish, cough drops are available, and the wait time isn't bad at all. It's on par with wait time to see my PCP (when I have an appointment with her!). They also have more on-site diagnostic ability (xrays) which many PCP offices do not. You can get it done in one place, and they are considerate and apologetic for wait times that are comparable to my doctors office with an appointment. I'm not sure I'll ever go back to my PCP for anything but more complex stuff. Was able to walk in and get seen right away. Staff was very nice and patient. The place was still pretty new, nice and clean facility. the doctor was very kind and explained things so my daughter would understand. We have visited the Pleasant Hill Stat med twice now and had Great experiences. They are efficient, nice and very professional. We were seen within 10 minutes and ended up with an X-ray taken right there and diagnosed immediately. Love this place! Convenient location, modern and clean, minimal paperwork, and almost no wait. The doctor's manner was great, too. He was friendly, professional, and actually took the time to discuss the situation. Called ahead to make sure they were in network, so it was just my usual co-pay. Will return if misfortune visits again. If one word can say it all it would be "smooth." This was my first time using Stat Med and I had a great experience. The staff is very friendly and professional. I had a 10 minutes wait time before I was put in a room and a few minutes later Dr. Jaber walked in. Dr. Jaber deserves a whole paragraph for this review. Dr. Jaber is a truly a wonderful doctor. She's smart, experienced, caring, funny and extremely professional. She saw my issue and she immediately took action. Even though this was my first time with Dr. Jaber, I felt very comfortable and at-ease. In terms of urgent care, folks, assuming Dr. Jaber is the one who is taking care of you, it is as good as it gets. I recommend that you go to this place in the morning when no one is there. Maybe call first for wait time before you go. They also have a big jar of lollipop so ask for one before you leave. The staff are great. It was past their operating hours but I was able to sign up online for an appointment. I was the 2nd one in. When I came out there were 10+ people. All the doctors are very good and if you are returning they remember you. I'm so glad they are local.